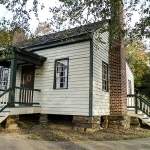 Local merchant and civic leader Daniel Freeman is thought to have constructed this Federal style home in the early nineteenth century. 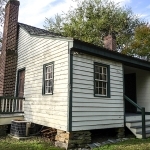 However, archival evidence first mentions the house in 1847. 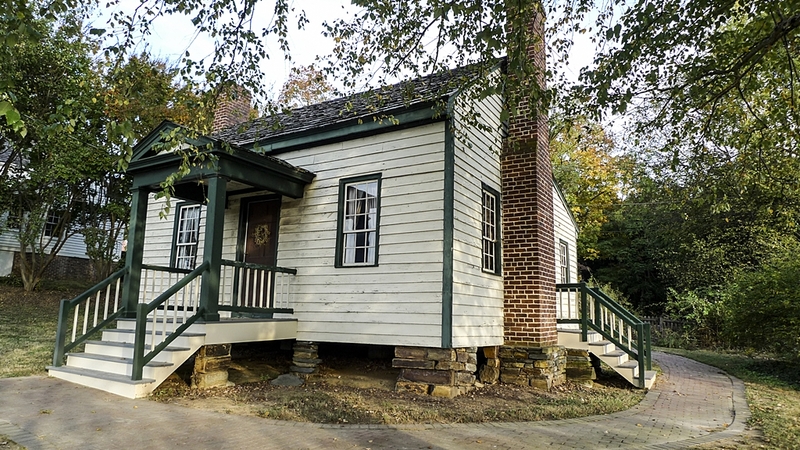 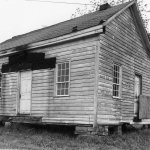 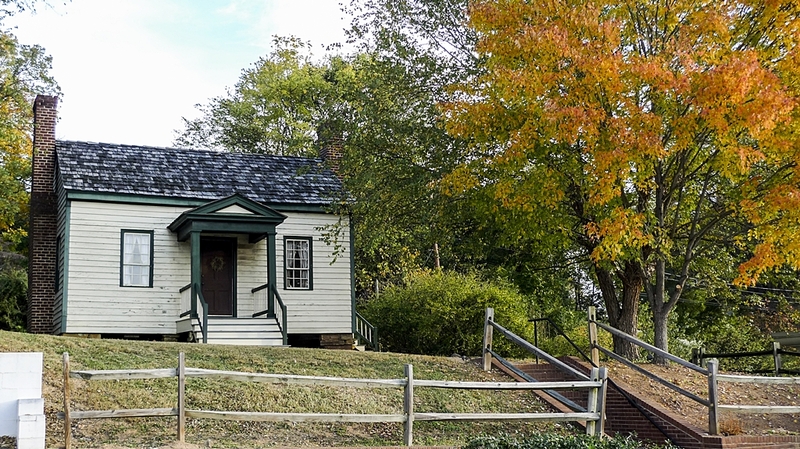 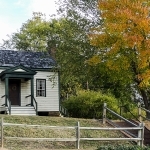 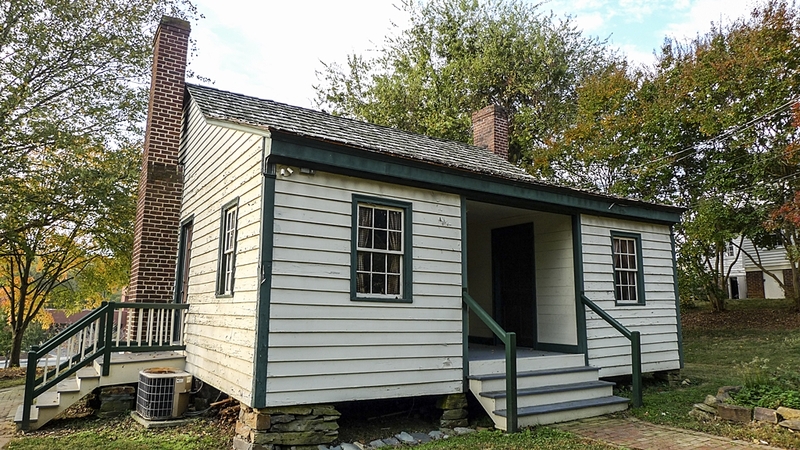 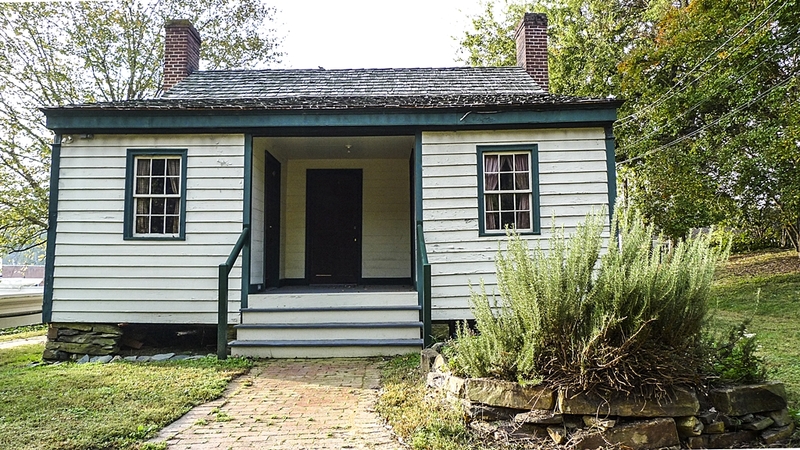 By either date, the house is now the oldest public building still standing in Albemarle. 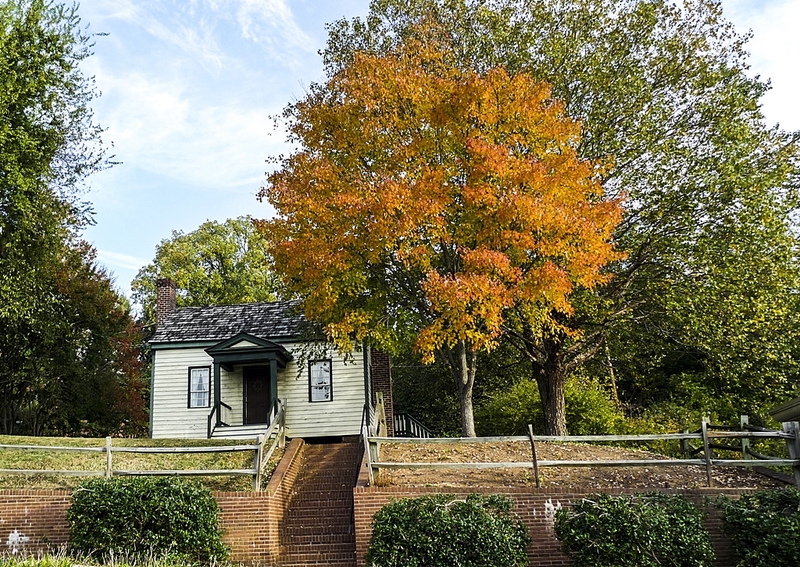 The Freeman home was originally situated on the Freeman farm just outside Albemarle’s old town limits. 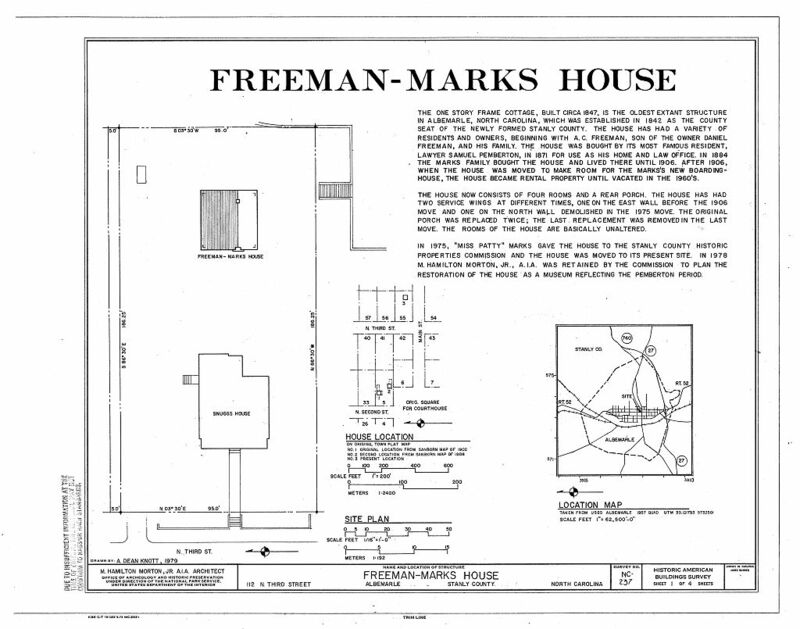 As the town grew Freeman moved his home to a lot adjacent to the town square. 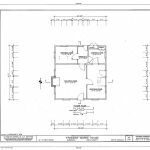 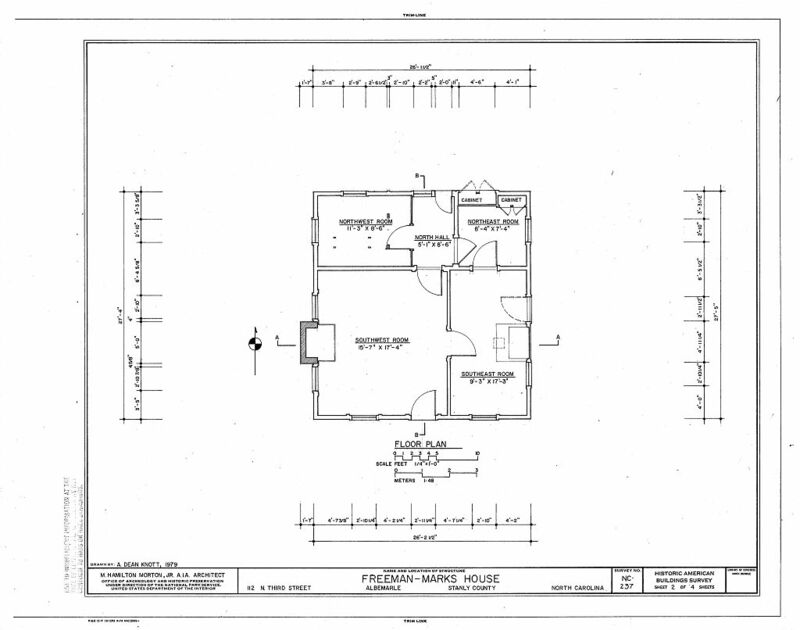 The site’s proximity to the County Courthouse made it an ideal location for business. 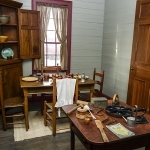 With the help of his son Archibald, Freeman operated a general store on the site. 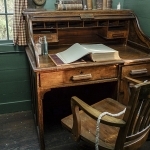 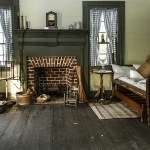 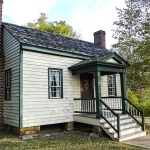 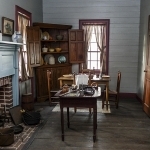 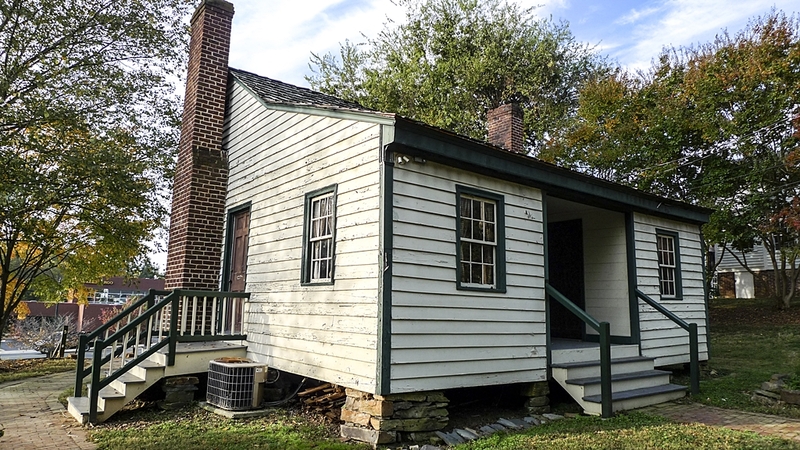 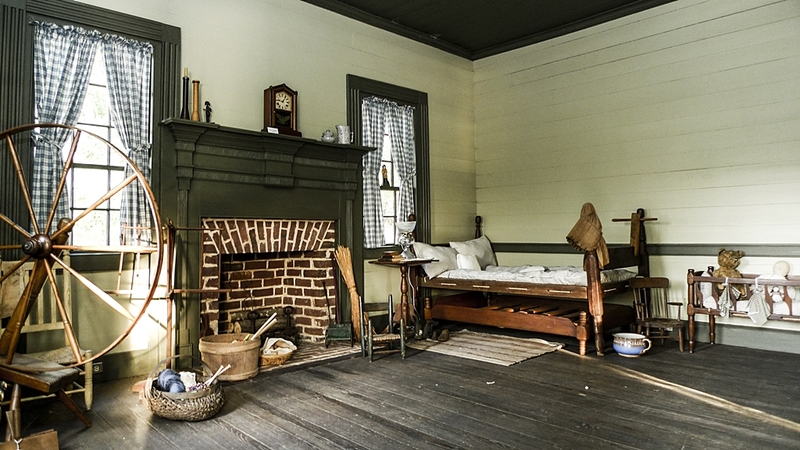 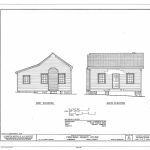 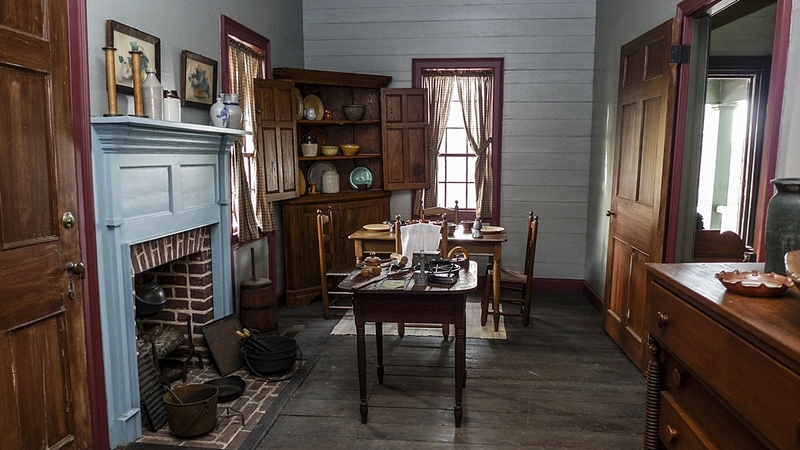 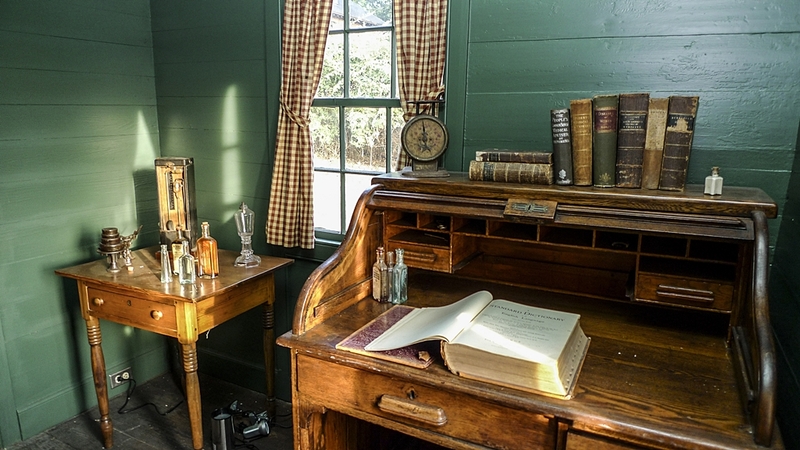 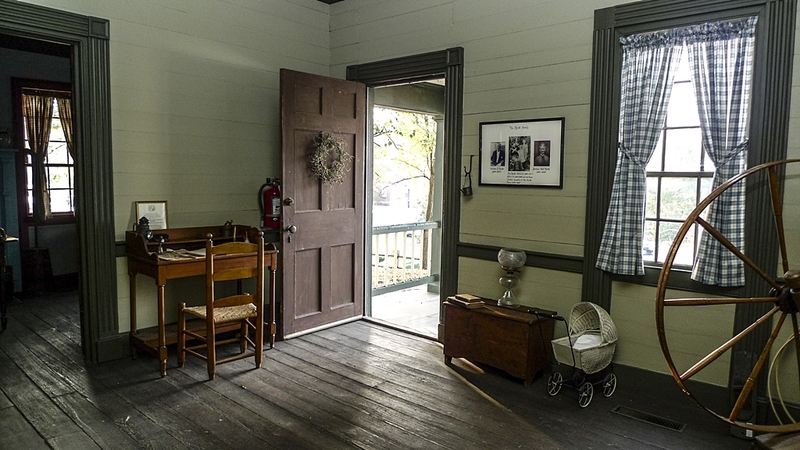 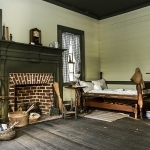 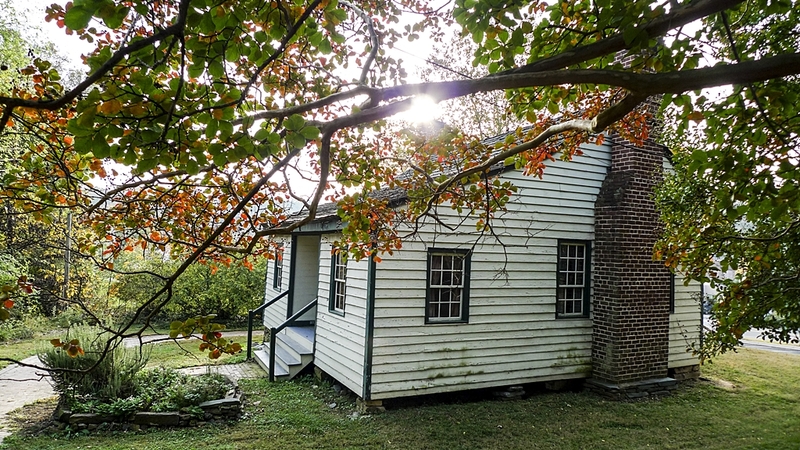 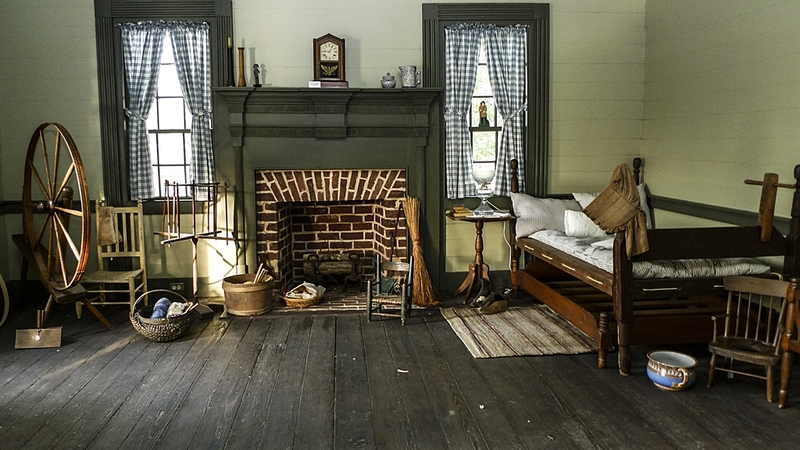 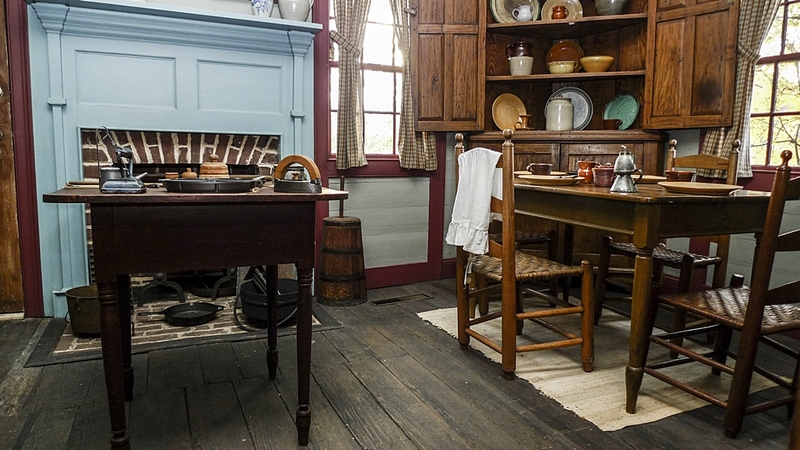 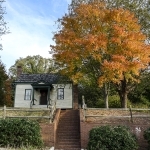 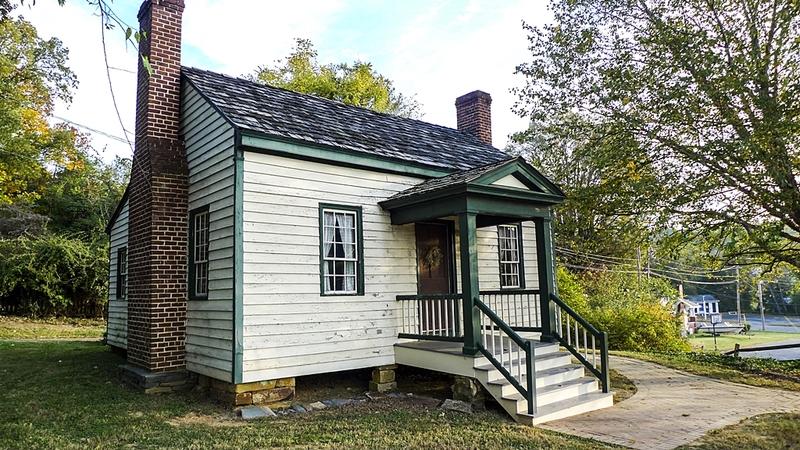 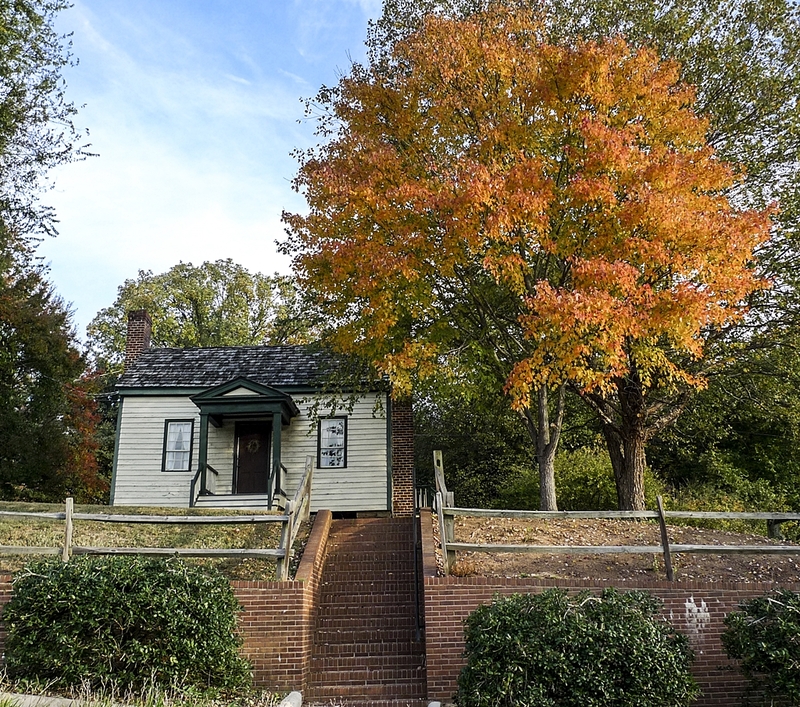 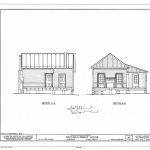 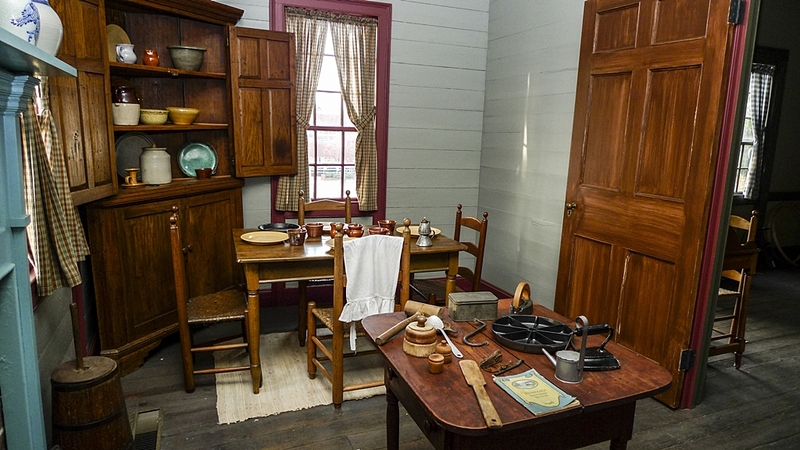 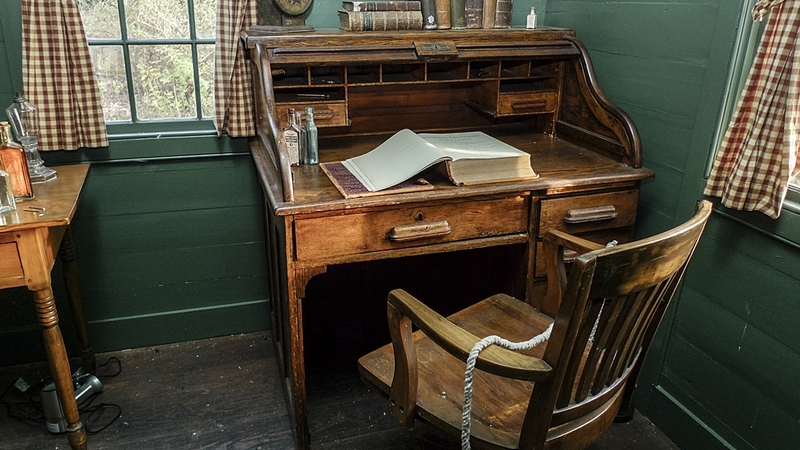 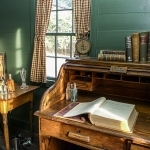 It is unknown whether the house itself served as the general store or an office, but the enclosed back porch did in time serve as an office for doctors Richard Anderson and William Lilly, as well as for attorneys Samuel Pemberton and John Redwine. 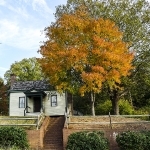 In 1884 the house was sold to Whitson Marks, a successful local businessman. 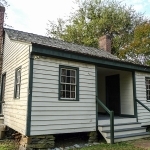 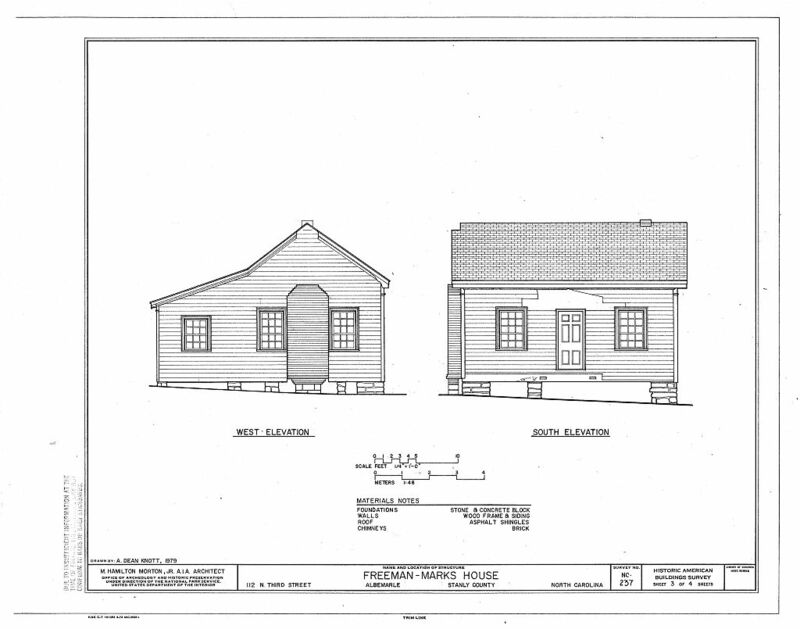 Marks lived in the home with his children until 1906 when he moved the house to the rear of the lot and constructed a two-story brick office building and boarding house. 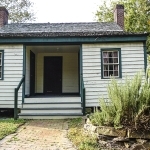 The small dwelling was used as a tenant house until the middle of the twentieth century. 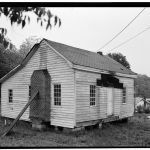 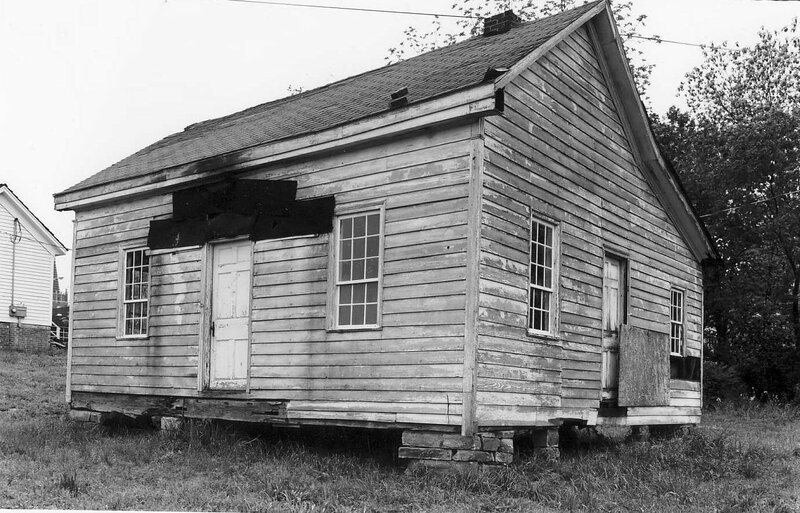 The house was nearing collapse when the County designated it as an historic property in 1975. 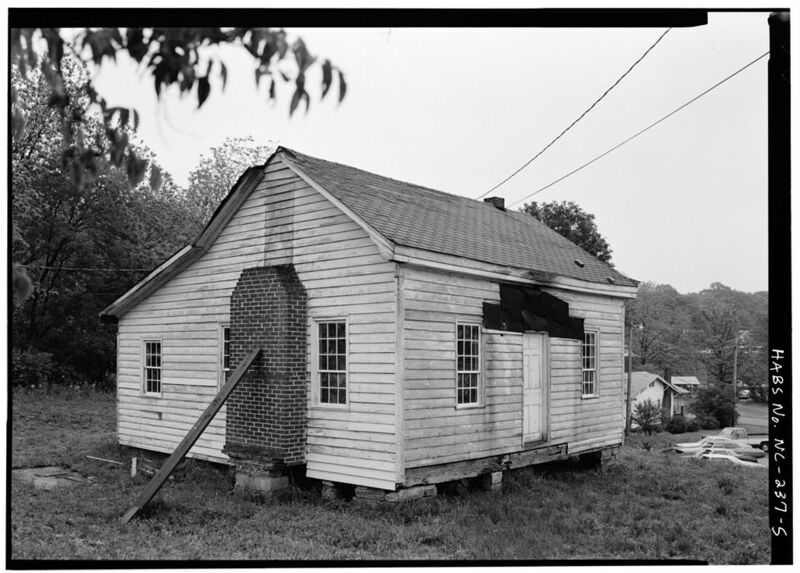 The following year Whitson Marks’ daughter Pattie, and her niece Jo Dunn Tucker, donated the structure to the County. 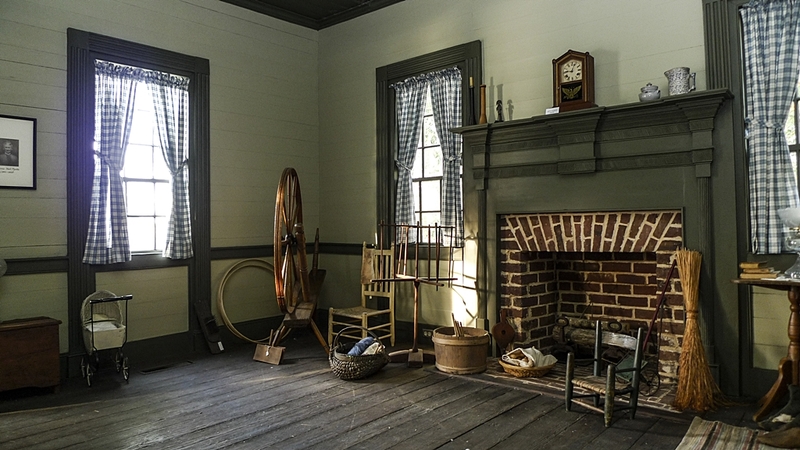 The house was moved once more to a hill facing Main Street and restored to its late 1840s appearance as a residence. 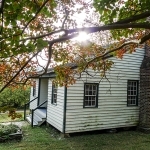 The structure’s rear rooms are restored as a lawyer’s office and as a doctor’s office. 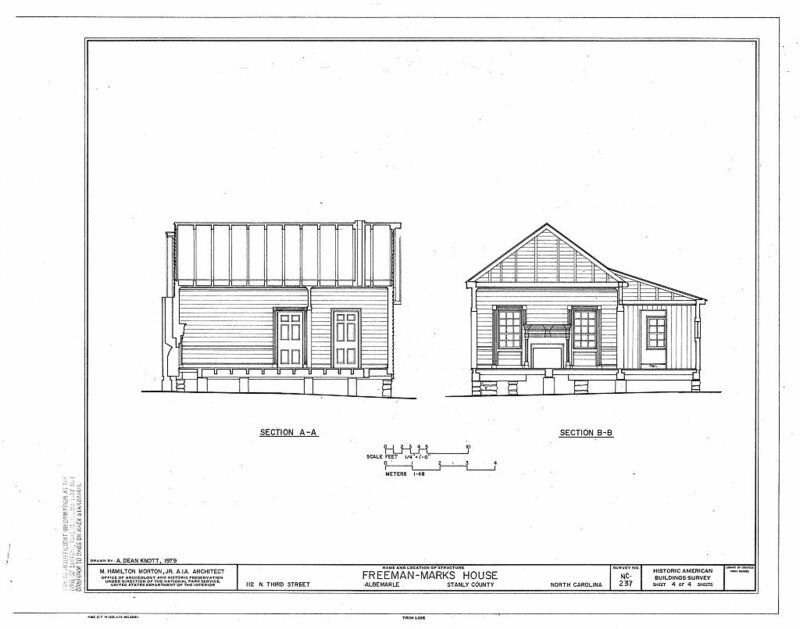 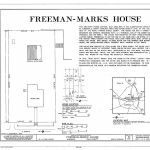 Photos of the Freeman-Marks House at the Library of Congress.